Happy Friday everyone!! I trust you have all made it this far in the week, it was a little touch and go for me. But thankfully, God created sweet tea to help us poor working souls along. 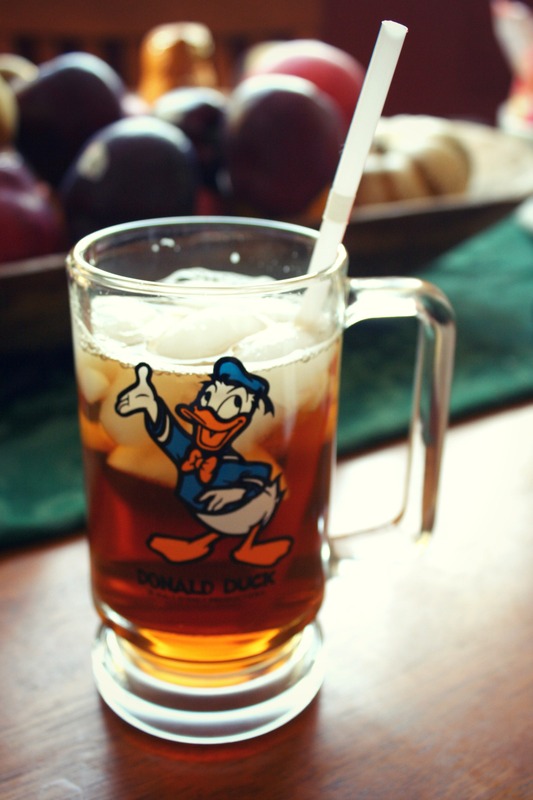 And for some reason, it tastes so much better out of a thrifted Donald Duck mug. 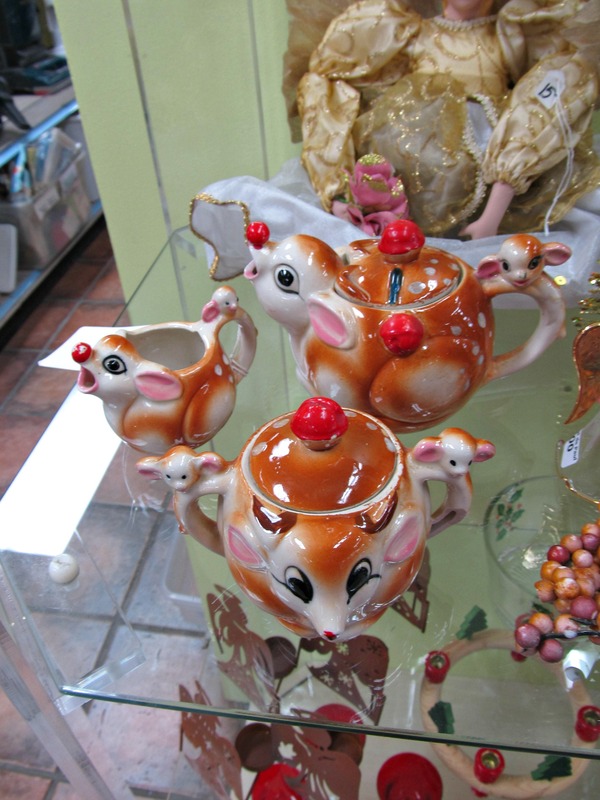 This Rudolph tea set made me smile, I can’t decide if it’s cute or really tacky. What do you think? 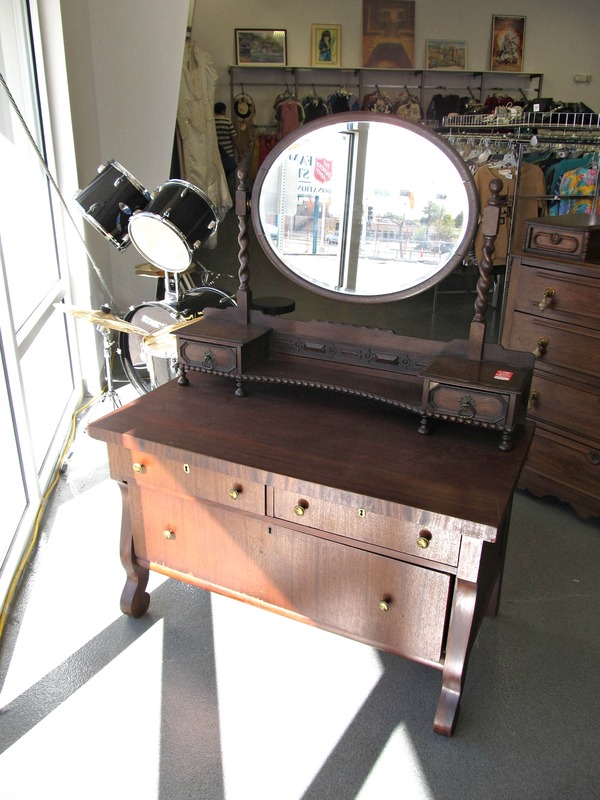 Then I came across some really awesome pieces. 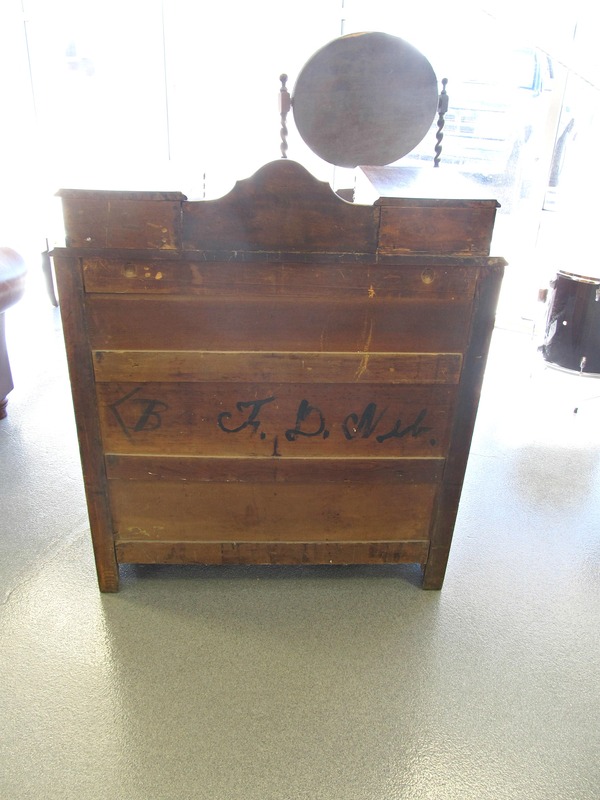 This stuff was super heavy and really old, and I instantly fell in love. The curves on this guy had me at hello. Or maybe she’s a girl, with all those curves maybe I’ll call her a girl. Aside from the curves, I noticed some markings on the back. That’s got to be from a moving company right, or maybe a maker signature? And it’s got to be old, I don’t know anyone with handwriting like that anymore. 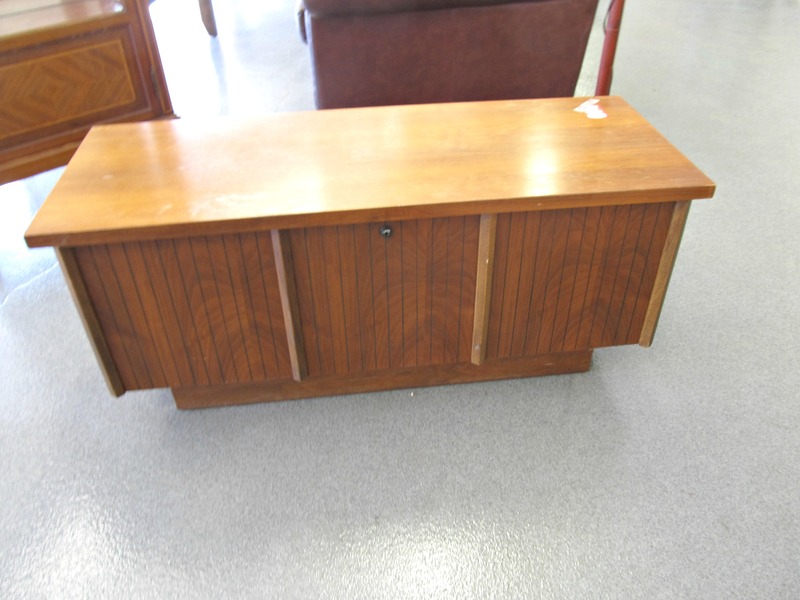 Then I came across this cute Lane Cedar Chest. 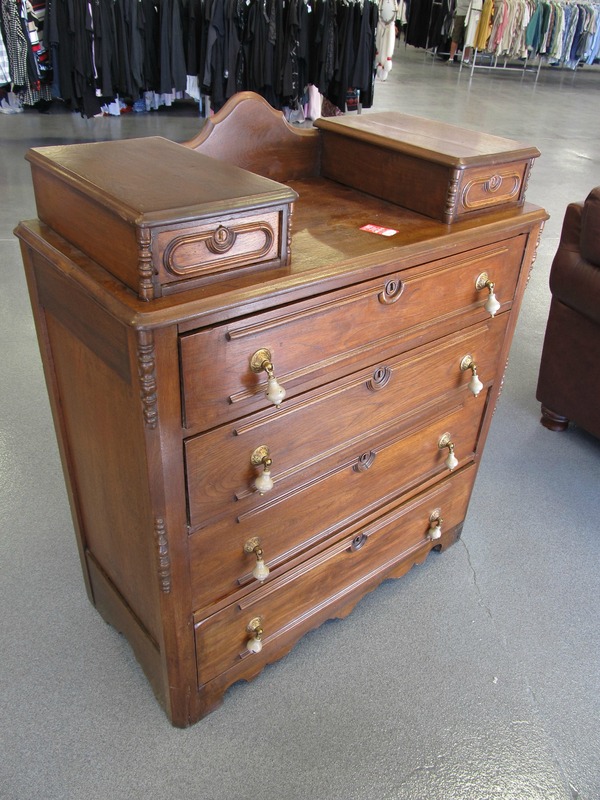 I was tempted, but the $200 price tag was a little steep for this cheapskate. The inside was pretty clean, and still cedar-y. But not quite as immaculate as mine with original tags and key attached to the inside of the lid. 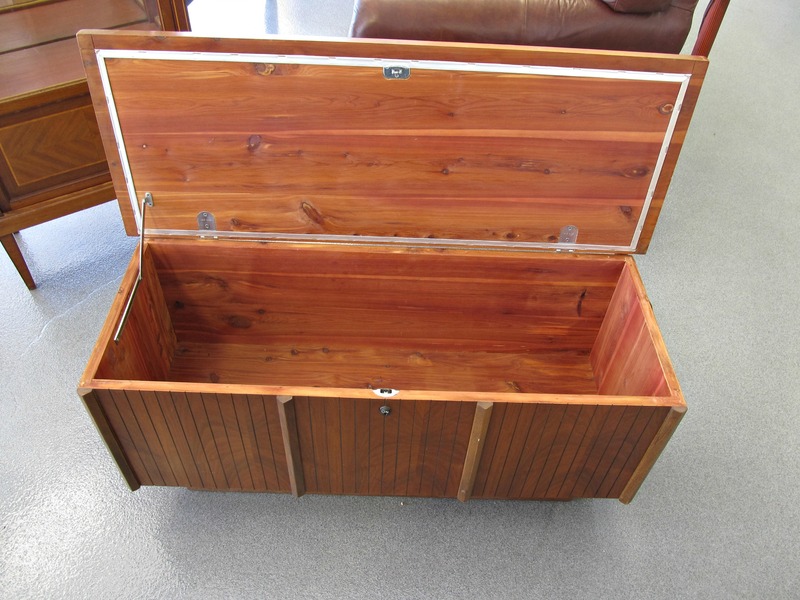 One day, when I get a better stand/platform for my TV, I’ll show you the inside of my cedar chest. Then I’ll finally be able to get to the pillows and comforter stored inside. Nothing but the most convenient of storage solutions for me! 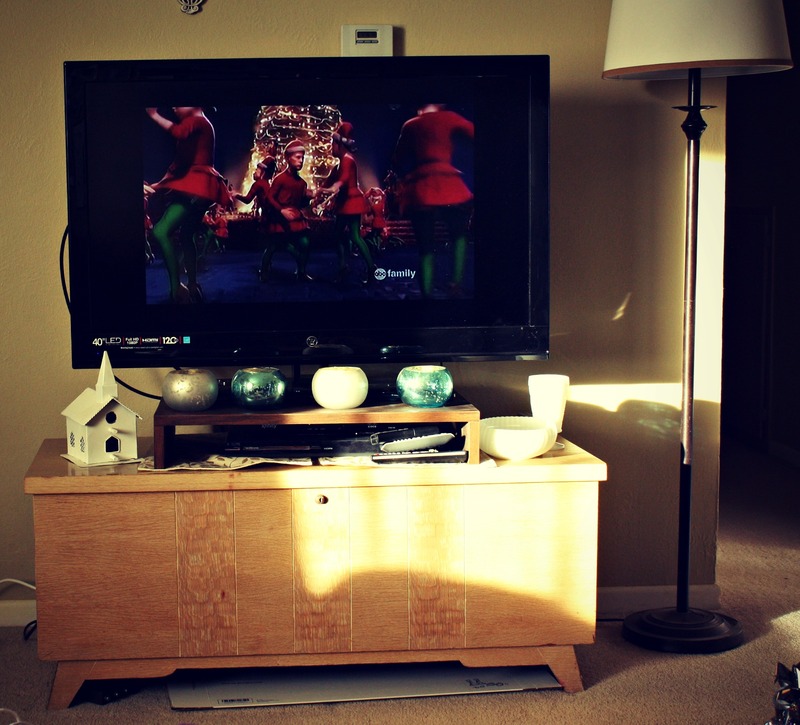 Have you found anything fun or reindeer-like on a recent thrift store run?